Doesn’t seem much different in the photos, but there is a big difference. 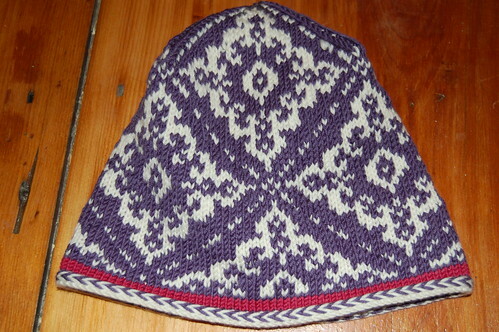 The stitches look a lot better after blocking. 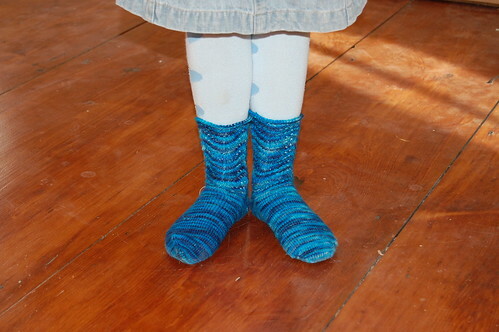 I think I did an extra row on one sock. I really like this yarn. It’s smooth, and not at all splitty, and the colors are fun to watch come out! It isn’t a color I would have picked off the shelf, but I do like it a lot! 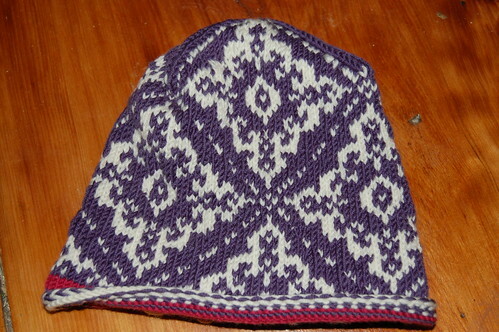 Knitting is less fun when you don’t keep trying new things, isn’t it? I have yet to sample two socks either way, but it’s in my plans for the future. No SSS! I love the blue socks. Very pretty. Like Mandella I’m hoping to end SSS by trying this method. 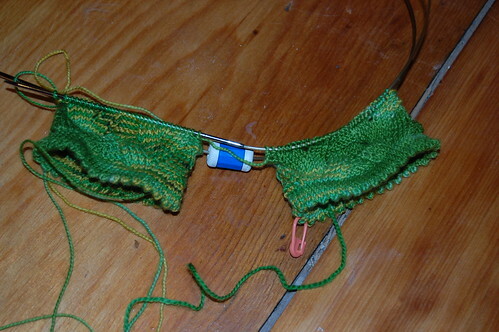 Did you find it easier to finish both socks at once? By the way gorgeous hat and socks. WOW! You’ve been really BUSY! And all of it is simply G.O.R.G.E.O.U.S!